A Story of Hope—Sharing our family’s journey from autism to recovery. Establishing the New Normal—Managing your marriage, other children, friendships and everyday life. How to Work Successfully with Families with Autism—Understanding the hidden psychology and reality of the family’s experience. Video: NBC Nightly News: New Hope for Kids with Autism. Video: CNN: Autism - A Journey of Recovery. Karen Siff Exkorn is an internationally acclaimed speaker and best-selling author of The Autism Sourcebook: Everything You Need to Know About Diagnosis, Treatment, Coping and Healing—From a Mother Whose Child Recovered (William Morrow). Siff Exkorn has been featured on Good Morning America, Today Show, The View, CNN, ABC’s Nightline, NBC Nightly News, CBS News, PBS, NPR and in The New York Times, Town and Country, Parents Magazine, Child Magazine, The Wall Street Journal and international media. 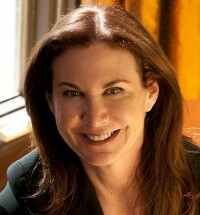 She is also a contributing writer to Huffington Post and Today.com. Following her son’s remarkable recovery from autism, Siff Exkorn made the decision to incorporate her personal odyssey into her professional life in order to bring her message of hope and possibility to others. In her keynote speeches and seminars, Siff Exkorn incorporates the wisdom that she learned through her journey with autism. She achieves this through her role as founder and CEO of KAS Consulting and Speak On, corporate training companies that specialize in leadership, sales, customer service, power of persuasion, presentation and media skills training for Fortune 500 companies, non-profit organizations and individuals. A featured speaker and workshop leader for the United Nations, Siff Exkorn has also lectured at UMASS Medical School, NYU Stern School of Business, NYU Gallatin School of Individualized Study, Columbia University, Brown University, and has been a keynote speaker at autism organizations around the world. She is a board member of New York Collaborates for Autism (NYCA), and joined forces with Autism Speaks, the world’s leading autism organization, and HarperCollins to produce a special edition version of The Autism Sourcebook that was donated internationally. 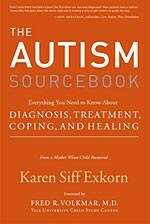 Siff Exkorn donates a percentage of the proceeds from The Autism Sourcebook to autism organizations worldwide. Siff Exkorn has a B.A. in Psychology from Brown University and an M.A. in Performance Studies from Gallatin School of Individualized Study at New York University, where she serves on the Dean’s Council. She received her Mindfulness certification training from Harvard Medical School’s Mind/Body Institute, and is a certified NLP (Neuro-Linguistics Programming) practitioner. A former professional dancer, Siff Exkorn teaches a weekly dance class to women of all ages, and choreographs for young adults with special needs. A first-time playwright, Siff Exkorn recently optioned her play about autism, entitled Do This, to a Broadway producer. Siff Exkorn and her family live in upstate New York.